First drink out in the gardens of the year! 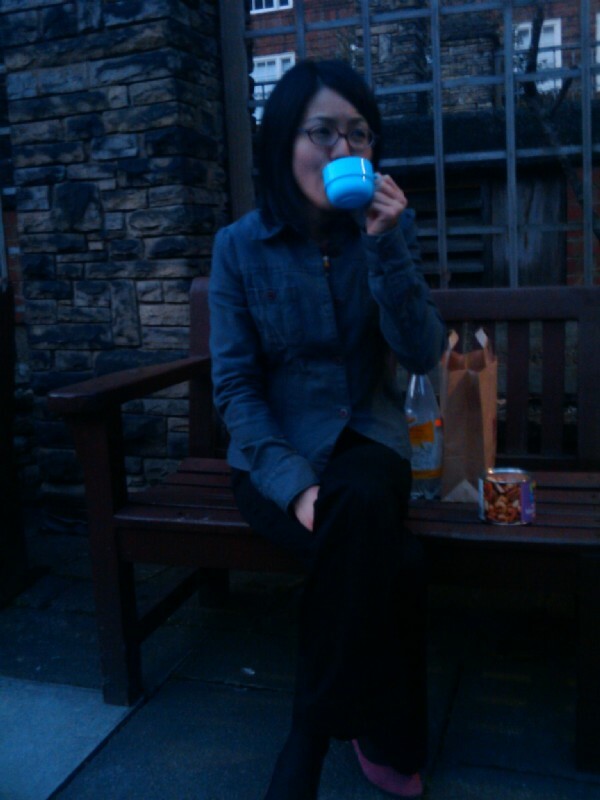 19:58:43 Chie enjoying the first drink out in the gardens of the year. 20:46:31 Dinner - garlic and herb tagliatelle in a cheese sauce with sautéed morels.